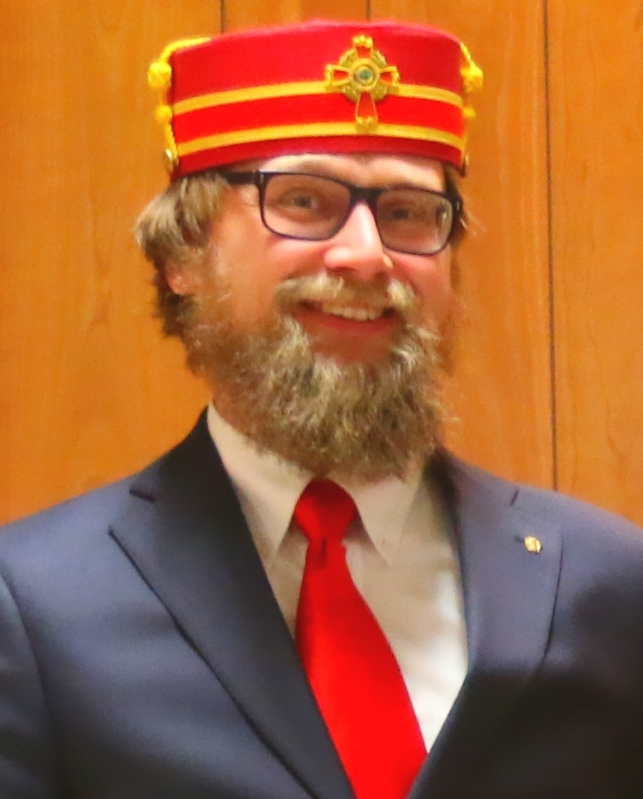 The Duluth Chapter of Rose Croix attempts to provide the candidate with a deeper understanding of religion, philosophy, ethics and history through a variety of complex "historical degrees". The intellectual challenges presented in these degrees are numerous, and at times overwhelming and can take years to master. Fidelity to obligations and perseverance of purpose under difficulties and discouragement are the lessons of this degree. The striking crimson velvet apron of this degree is edged with green; having a bleeding head above two crossed swords, and a triangle (top point to the left) with three interlaced triangles inside it. The jewel is three golden concentric triangles encompassing two crossed swords. We learn "heroism of patience, the nobility of self-sacrifice" and compassionate judgment, along with charity, fidelity and Brotherhood. This crimson apron is edged in gold and aurora-color, and with a square, shield, Delta (with three YODs), balance and a hand of justice. The jewel worn is a mother-of-pearl lozenge with a hand holding a balance in equipoise; under it a sword with five stars surrounding the point. On the left is a Hebrew D; on the right is a Hebrew Z. - a peaceful harbor and a well-grounded place to anchor.